After graduating from Georgetown University’s School of Foreign Service, HRH Princess Ghida Talal pursued a career in journalism. In 1991, she married HRH Prince Talal Bin Muhammad of Jordan, and the late King Hussein asked her to establish the International Press Office of the Royal Hashemite Court and to become his Press Secretary. 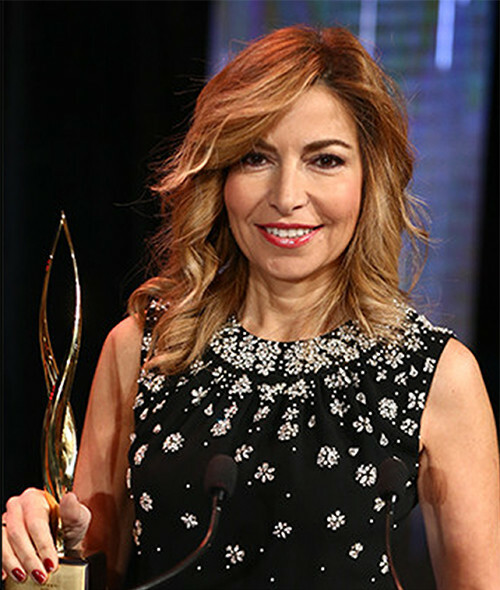 In October 2001, HM King Abdullah II appointed her as Chairperson of the King Hussein Cancer Foundation and Center. As the wife of a cancer survivor, Princess Ghida devoted herself to the fight against cancer and is a tireless fundraiser and advocate for the Center. Princess Ghida, born Ghida Salaam to a leading political family in Lebanon, has served for two terms on the Board of Regents of Georgetown University and currently serves on the Board of Georgetown’s Master of Science in Foreign Service program. Princess Ghida joined the Board of the Institute of International Education’s (IIE) Scholar Rescue Fund in 2007 and IIE’s Board in October 2012. She played a role in launching the Iraq Scholar Rescue Project that rescues persecuted scholars from Iraq. This earned her IIE’s Humanitarian Award for International Cooperation in 2008. In 2011, Princess Ghida represented Jordan at the United Nations by addressing the UN General Assembly’s High-Level Meeting on Non- Communicable Diseases (NCDs), where she joined world leaders in calling for urgent and immediate action on NCDs. Princess Ghida lives in Jordan with her husband Prince Talal and their three children: Prince Hussein (born 1999) and twins Princess Rajaa and Prince Muhammad (born 2001)."